Custom decks give you more space to entertain, whether you’re hosting a cookout, a birthday party, or just relaxing on a chaise lounge with friends and family. A great-looking custom backyard deck is a selling feature that can increase the value of your home while increasing your enjoyment of it. Deck Building. Our team will transform your home with added outdoor living space. Deck replacement. Our weather is tough on your deck. 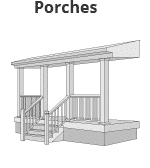 Our Decks are made to last! Design. Maximize your space and function with the perfect design. If you don’t have the time or desire to keep up with your landscaping, a custom deck can be an ideal solution, reducing the amount of yard you have to maintain. Our composite, vinyl, and wood decks are composed of materials that require almost zero effort on your part and are resistant to scratches, warping, and rot. Typically decks are made of Lumber. This may be teak, western red cedar, ipe, mahogany, and additional hardwoods. 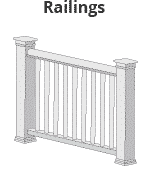 Recently new products have been developed to add to your decking options. 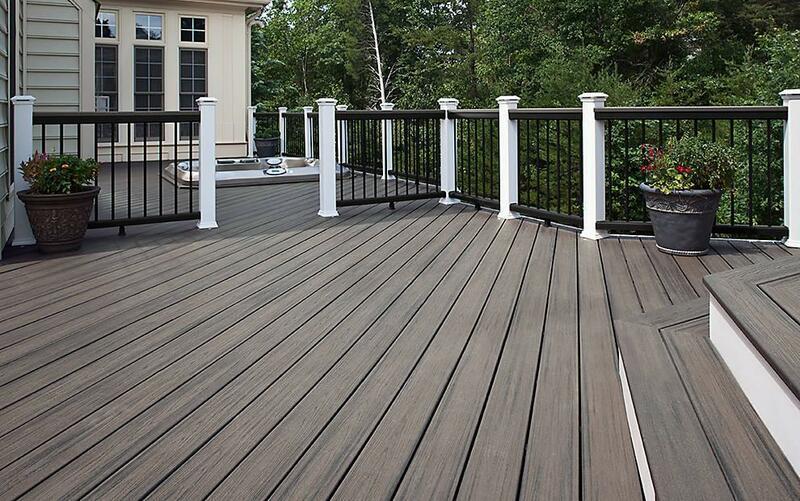 Our vinyl and composite decking comes in several colors and styles that emulate the richness of hardwood. Variegated, textured surfaces create a natural-looking beauty that blends with the rest of your home. For the real thing, we recommend wood decking made of pressure-treated wood or Ipe wood—one of nature’s strongest and most attractive hardwoods. Our custom wood options can be stained to any color of your choosing, or left in their natural state to age to an attractive patina.